This is one of our most popular tours of Tibet. 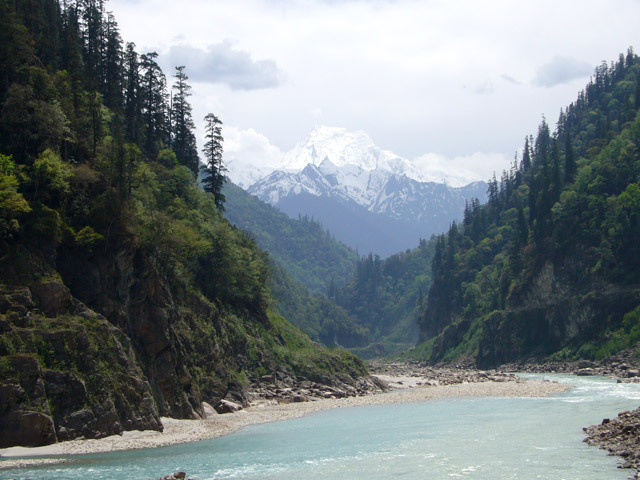 It covers the most popular sights of “U” and the Tsang region of central Tibet. 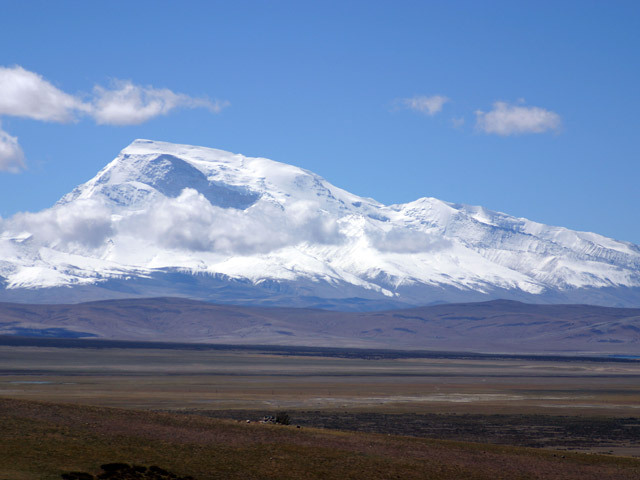 Start your tour of Tibet from Tsedang, a great starting point, as it is lower slight lower in altitude (3150 meters above sea level and Lhasa is at 3490 meters); this helps you acclimatize better to high altitude conditions. Visit the earliest monastery of Tibet at Samye; visit Yambulakhang, believed to be the earliest building in Tibet. 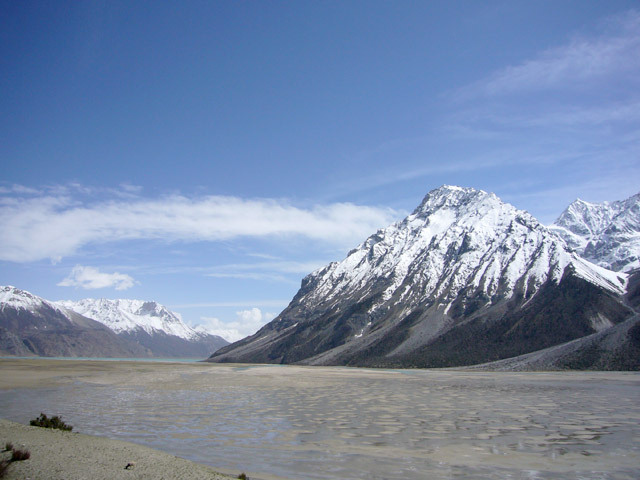 Visit Chongye and other sights in Yarlung Valley. 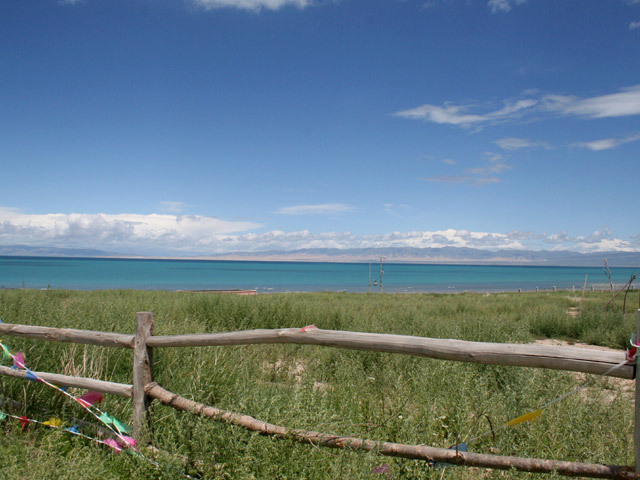 Then drive to Gyantse passing the turquoise blue Yamdrok Tsho Lake. Visit sights in Gyantse, Shigatse and travel overland to Lhasa, the cultural and historical capital of Tibet. 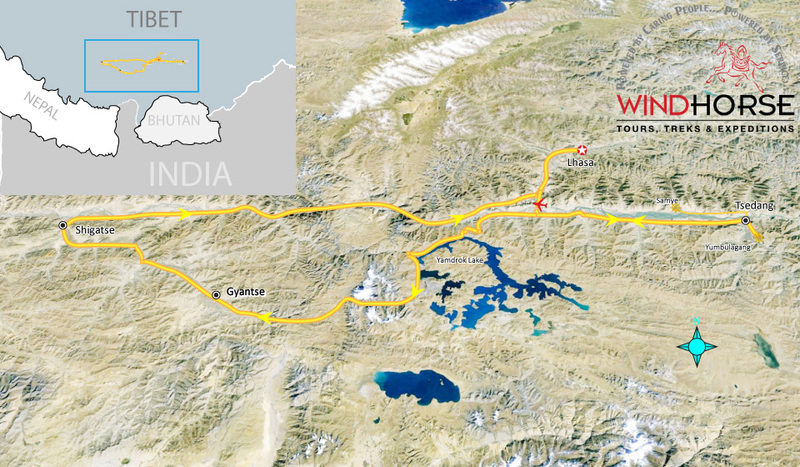 As this route is frequented by tourists, the accommodation options are greater and of a higher standard than other tours in Tibet. Arrive by flight to Lhasa Gongkar airport. Meet and transfer to Tsedang, 2 hr drive. Check into our hotel. It is essential to take it easy today, to acclimate to the altitude. This first day in Tibet is also where the Tibetan civilization and monastic institutions began. 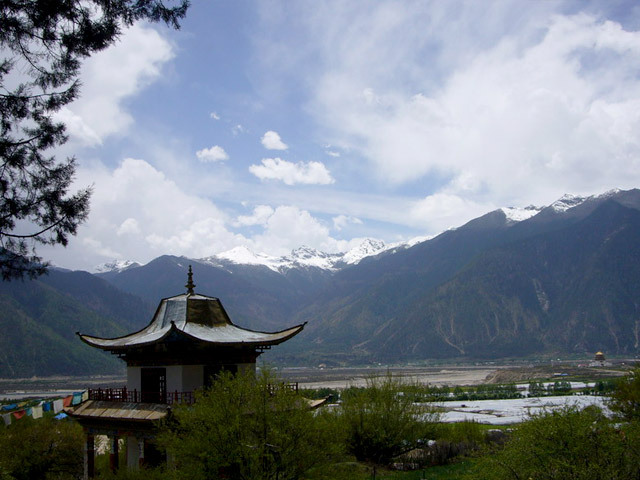 Explore Chongye Valley and burial sites of the Tibetan Kings. Visit Yumbulakhang, which believed to be the first building fortress in Tibet. Nearby visit 7th century Tadruk temple. Finally drive to visit Samye monastery. 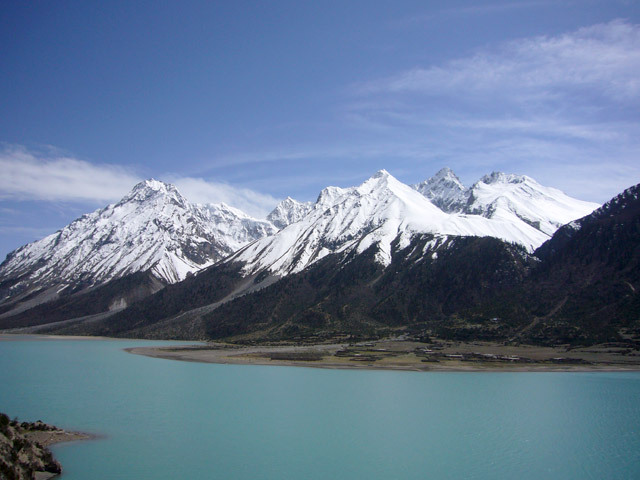 Drive across Kambala Pass and along the long shores of dazzlingly turquoise green Yamdrok Tso Lake, with spectacular vistas to Gyantse. En-route stop at villages, town and nomad camps. Arrive in the late afternoon at Gyantse, one of Tibet’s most traditional towns, little influenced by the Chinese. See the famed Gyantse Kumbum, that rises over four symmetrical floors, topped by a gold dome. Visit Pelkor Chode Monastery, just next door and drive up to the Gyantse Dzong, for breathtaking views of the surrounding countryside. After lunch, drive to Shigaste, visiting Shalu monastery en-route. Shigatse, the second largest city in Tibet has both modern buildings and a delightfully whimsical jumble of monasteries and Dzongs in the old Tibetan quarter. Visit Tashilhunpo Monastery, one of the few monasteries virtually untouched by Cultural Revolution. 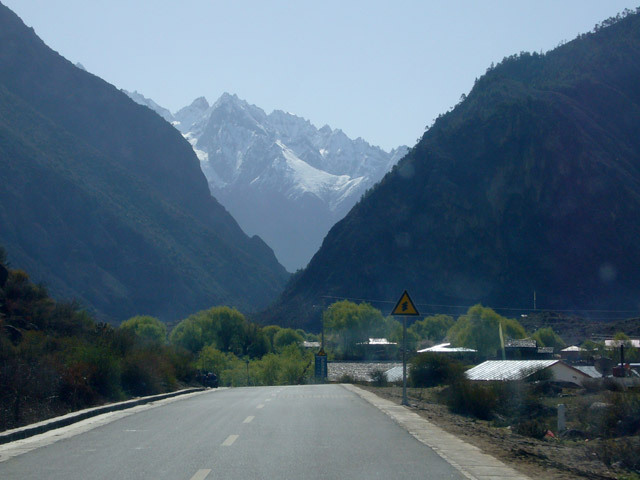 In the afternoon drive along the Yarlung valley to Lhasa. During the next two days, visit the 7th century Jokhang Temple, Tibet’s holiest site. Take a walk in a clock-wise circuit or Kora around the temple grounds, along with the stream of humanity. Stroll through Barkhor market square. 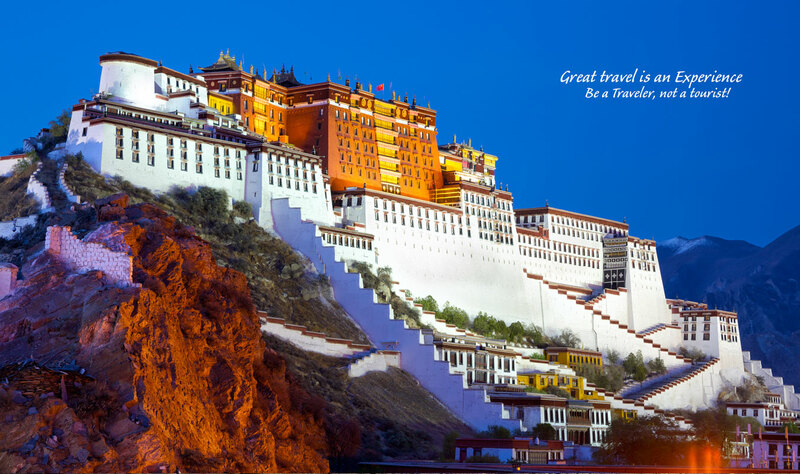 Visit the World Heritage, formidable site of Potala Palace in the morning. Later drive west to Drepung Monastery. Visit the traditional Tibetan hospital of Mentsekhang. Visit Norbulingka, a tranquil and shady retreat, which was the former summer palace of Dalai Lamas. Visit new Tibet Autonomous Region Museum with its galleries of Prehistoric Culture, Tibetan Arts, Thangka Painting, and Folklore and Culture. Visit Sera Monastery, possibly during their theological debates. Visit nunnery, many other smaller temples and monasteries, rarely visited by Westerners, hidden in the back alleys of the old quarter. Departure transfer to the airport in time for your departure flight to next destination. Breakfast & dinner through out the tour. Prices are provided based on travel dates and number of participants. This is a daily departure trip that can be taken privately or join in as a group. $1,330 Per Person for groups 4 and above. $1,430 Per Person for group of 3 members. $2065Per Person for 2 travelers. $3,745 for single traveler including single room supplement. Extra $$353 as single room supplement. The price provided here is an average and may be slightly less or slightly more depending on travel dates. Check with us with your travel dates. Accommodations in 3-4 star hotel as per list or similar. All meals as indicated by (B/D) for breakfast, lunch and dinner respectively. One dinner with cultural performance. All private transfers and transportation by good quality Land Cruiser. 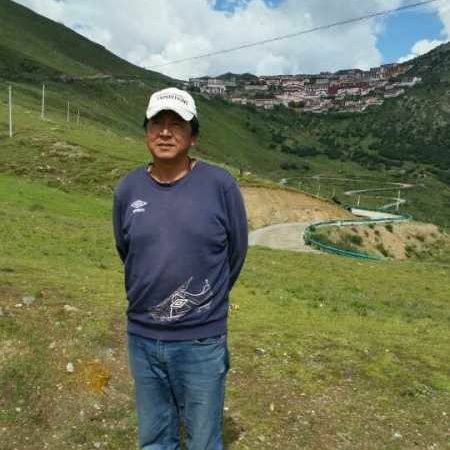 Local English speaking Tibetan Guide. Insurance for health and emergency medical services (highly recommended for Tibet). John & Susan Pvt. Tour (Oct. 17-Oct.30,2011) Dear Ugen, We had a very good trip and were pleased with how well it all worked. If there was anything negative, I think it's that we believe it could have been a couple days shorter. But that may be at least partly personal and reflect the fact that we had been in Bhutan for a couple weeks prior, so it was a very long trip for us, about 5 weeks in all. Our guide in Kathmandu was fine. He did seem to be in a hurry much of the time and was often some distance ahead of us, but he was a nice man. Our guide in Tibet, Tenzin, was terrific. He was knowledgeable in the culture and history, friendly, always positive, cheerful and smiling, flexible and full of suggestions, and looking for ways to make the trip better for us. He really was great and you should use him as often as you can. The driver, Dawa, was also good, although he spoke little English so we did not obviously get to know him well. The food was good, Tenzin did a good job of picking restaurants, and at our request took us to a couple places where we were probably the only non-Tibetans to frequent in years, a nice treat. Hotel accommodations were okay, generally what we expected -- spartan, and not very clean by US standards, but adequate. Again, Tenzin looked after us and made sure we were well taken care of. So we had a good trip, and we thank you for your assistance and for the arrangements. I want to express my appreciation to Windhorse and especially to Dawa, our tour guide, for making our trip to Tibet unforgettable. Even though it has been three months since we took our vacation, the memory of the trip is still with me and brings a smile to my face every day. I would especially like you to know how grateful I am to Dawa, who is exceedingly talented as a tour guide, and who made this trip so memorable. Throughout the trip, he made sure everything went seamlessly, from helping us avoid a long line in the Potala, to dealing with changes in schedules, delays, and countless other details that we never had to worry about or even know about. Dawa was highly attuned to what would make this trip unique for us. I was interested in Tibetan history and Buddhism, whereas my father was curious about daily life in Tibet, such as farming practices, family traditions, etc. Dawa was highly knowledgeable in all these things. His understanding of Buddhism and its history made everything come alive when we visited the monasteries. At the Summer Palace, the other tour groups and guides joined us as Dawa explained the murals depicting the Tibet’s history. On the few occasions when he didn’t know the answer, he would find out and let us know. Based on our interests, Dawa arranged side trips to places and pointed out things he thought would be meaningful to us. Most importantly, Dawa went above and beyond to share with us what was important to him, whether it was a memory, a good joke, a story he heard, or a place that had special meaning to him. This is what made this trip unforgettable. Please let him know how grateful I am, and that I wish him and his family the best. Hi Ugen, Just wanted to let you know what an amazing trip we had to Tibet and to say thank you for arranging everything for us. The itinerary was perfect and our guide, Nyima, (sp??) was very knowledgeable and very patient with us as we tried to get a grasp on the Tibetan culture and all the Buddhas. Again, memories none of us will ever forget. I would like to thank you again for arranging our trip to Tibet, especially on such short notice. We had a wonderful time. The bad weather I was so worried about never really materialized. It rained a few days, but only for a short time each day, and it never really interfered with our plans. I would especially like you to know just how impressed we were with our guide, Yi Xi Pen Tsong. He took very good care of us, and did many extra things, such as arranging for us to warm up in a monk’s quarters on a rainy morning at Ganden Monastery, and later buying us milk tea and noodles at the monastery restaurant. I showed an interest in Tibetan music, and on the last day he presented us with a couple of music CDs. Yi Xi’s kindness to us aside, he was very professional. I noticed that some guides wore sports clothes, but Yi Xi always wore a suit and looked like the true teacher he is. His knowledge of Tibet and the places we visited is vast. We were also very pleased with our driver, Ciren. He drove carefully (which does not appear to be the case with all drivers in Lhasa), and was always good-natured about our requests to stop for photos. Anyway, unless you think it would be inappropriate, please pass this message on to Yi Xi’s and Ciren’s supervisors. I would be happy to steer people to Wind Horse Holidays. You are welcome to give prospective clients my email address. We had a wonderful tour of Tibet.The hotels were beautiful,the van and driver great and our tour guide Tashi was excellent. Tashi was very knowledgeable about Tibet and Buddhism along with good command of English.The train soft seats were very comfortable but bathrooms get dirty fast and they do not clean them properly.Perhaps you could appraise the authorities of the situation,because I heard these complaints from all foreign tourists I met in Lhasa. Barring the bathrooms in the train,it was an excellent tour.It not only met but exceeded my expectations.I would highly recommend your tour company to any one visiting the Himalayas. Could you please get me our tour guide Tashi's email address in Lhasa,I would like to send him a thank you note.He was very helpful in every way possible. Stephen S. & Greg S.
Just wanted you to know that Greg and I had a terrific time in Tibet. The hotel was fine and the staff was attentive (though the hotel food was not that great!). And Ten, our guide, was excellent... as were the cars and drivers. Thanks for arranging everything and getting our documents to us on time in Beijing. It was a pleasure dealing with you and we would recommend your agency to friends. Thank you for you inquiry regarding our trip. The trip went very well, and I was quite impressed that every connection was as you had planned. The guides did their jobs well and the drivers showed their experience and abilities in dealing with both the roads and traffic. Tibet was as you described both fascinating and challenging. Bhutan was beautiful, but I must say that Pakistan was the Highlight. I very much enjoyed the Hunza valley area. The bus ride from China into Pakistan over the pass was really quite enjoyable. Thanks for all your work. 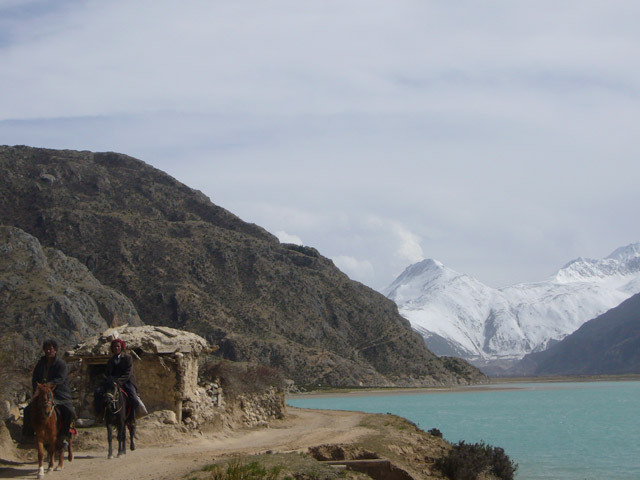 05.20.2006 - Postak, I meant to contact you over a week ago to let you and Windhorse know that our trip to Lhasa was wonderful. Our guide Twinley and our drive, Mr. Dawa, could not have been better. Both were kind, fun, patient, and simply great people. Twinley truly knows all about Tibetan Buddhism. They truly "made the trip" for both Kate and me. The people of Tibet are amazing. Everyone was so happy, kind and spirit-filled. It was inspiring just to be with them. Our hotels were excellent. We were very impressed with both of them. The staff at the Du Ghood in Lhasa was exceptional. Some spoke English and all were extremely fun. The food was very good. Our room was clean, a good size, and quaint with lots of Tibetan color. I highly recommend both accommodations. Mr. Dawa's car, a Land Cruiser, was clean and comfortable. He is a very good, conservative driver. Rather than taking chances, he always drove at a safe, more cautious speed. Twinley (pronounced Tulla) is a very good looking, slightly shy, young Tibetan man who has a good command of English. His pronunciation can sometimes be a bit difficult to understand, but he is very fluent and exceptionally knowledgeable. We met his mother and father by happenstance near the Jokung Temple and they, too, were amazing. He always arrived looking clean and "dapper" in his leather jacket and khaki slacks, was right on time, and patiently waited for us to collect our cameras and water bottles. Anyway, this is more than you needed to know, but I wanted you to know how much we enjoyed everyone and the entire trip. The only glitch we had was on our return flight. We landed and immediately went to catch our next flight back to Shanghai. As it turned out Kate and I had been booked on different flights. She was not allowed on hers because there was too little time between her flights. She ran to check in and they said they had cut-off giving out boarding passes seven minutes earlier. We should have been booked on the same flights all the way through, but the local agent did not do this. Luckily this was fixed. Instead, I was scheduled to leave Lhasa in the morning and Kate in the late afternoon. Then Kate's flights ended up being too close together so it was impossible to make the connection in Chengdu. We worked it out with China Air and she made the flight I was on, but only after she explained that she worked for the US Consulate and needed to be back at work in Shanghai the next morning. Anyway, everything worked out and these are travel glitches that can easily occur. I just recommend everyone check their tickets and not have connections booked too close timewise. I can and will highly recommend Windhorse Tours. If you have another form for me to complete I will gladly do so. Twinley gave me a form, but I typically misplaced it. Please fax one to my office (949-721-9938) and I will fill it out and send it back to your offices. 06/21/2006 Dear Postak, The trip is excellent , the guide and the driver takes very very good care of me through out the whole trip. They even take good care of me and help me out on the days when I am on my own. The guide can speak fluent Manadarin and English and she is considerate and helpful. The driver is very experienced, he checked the car thoroughly whenever a long trip is made and he can smell any abnormalites on the way. 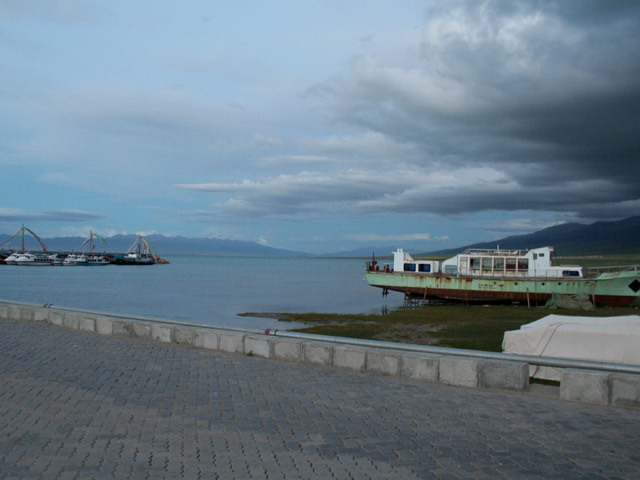 The only one thing that I am not happy with is the local agent's trip to Namtso Lake. If the person concerned tell me that I will join the a group of 20 people I am sure I will not even try. We started the tour at around 7:40 but ends up at 9pm, and the guide of that tour is very terrible, he went to three different places and asked the tourists to visit and go shopping. But there is one guy who is having Altitude illness and I am not feeling well with my stomach. But he paid no regards to this and asked me to do him a favour to walk around these shopping places so he can have some profits. But I told him that I am sick and I preferred to stay on the bus, he was angry and at the end of the trip he just left the whole group of people outside these shopping places and focused on helping an elderly couple for buying things so all of us take a taxi back home by ourselves. I think Postak you did a very very good job I wll recommend or I will actually join your group some time in future. This is a very very happy journey and I really enjoyed every moments in Tibet. Damara and I want to thank you both so much for arranging such a wonderful trip for us. What we thought would be a once in a lifetime trip has left us both anxious for more. We were sorry to lose the treking part of our trip due to my illness, but so glad that we really got to see nearly everything from the landcruiser anyway. Our guides and drivers were fabulous. We got really attached to Lopsang Lungdock from Lhasa--especially in light of his help and concern when I had to go to the People's Hospital! Krishna Kharel in Kathmandu was was a true gift. He was so well-educated and so well-informed on all subjects of interest to us. Jack Wang in the Lhasa travel office is commended for his patience while we waited out my illness. Thanks, again! You guys do a wonderful job! The arrangements all went fine, I found it difficult to cope with the altitude for some reason but my partner had no great problem with this. Tibet was certainly different and it was a great pleasure for me to have visited there. Due to work committments I could not stay the two extra nights in Chengdu. Thank you for your cooperation and professional assistance throughout. Tibet Everest Base to Nepal Hi, Postak and Ugen! We had a wonderful time in Tibet. It was magnificent. Our driver and guide were fabulous, and we had a great time in their company. Everything went perfectly, with the exception of Paul developing altitude sickness at the base camp of Mount Everest, and so, we were not able to spend the night at the monastery, but had to go down so that Paul would get better. No fault of the agency, of course! 1) When we go to Bhutan, am I supposed to have a visa or permit prior to flying from Kathmandu I was just talking to Dave at your office in Kathmandu and he asked me where my permit was. I apologize for my terrible memory, but hope you can understand that there are a lot of details in organizing a trip of six months. Please let me know what is needed in that regard and fax to the office here if need be. 2) Dorje, our guide in Tibet, was wonderful. I wanted to send him some stuff from Canada. Are you able to provide his mailing address for me, or not He's a great guy, and made our trip wonderful.